Garden Tips and Tricks! This one is such a great find!!! Hats off to these people! I came across this YouTube video upon researching different weed control methods and the most effective and efficient ways to use them. When your a homesteader, you spend almost all day on your feet. Everyday tasks are rewarding yet sometimes overwhelming as there is just so much to do. Everyone has a task or two that they just can’t stand doing. Maybe you hate washing the dishes. Maybe laundry isn’t your thing. If you’re a fellow farmer or homesteader maybe you procrastinate when it comes to cleaning the coop. 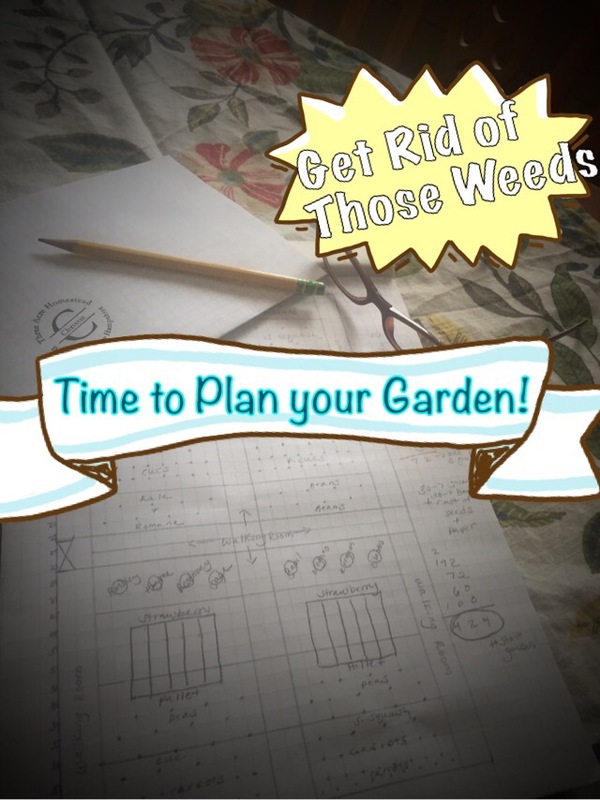 For me… I can’t stand weeding the gardens. I really can’t. I’d rather push mow all three acres 5 times over than weed the gardens. I’ve tried so many different ways to keep the weeds out. Mulching. Mulching with straw. Buying different tools to take some of the strain off. Whining like baby and just suffering through it…. Yep. That’s usually the method I go with. So. I’ve decided to work smarter and not harder this year. With the hens, the broilers, the pigs and the goats that will soon, all find their home here at the stead, I know that my time will be spread thin. Luckily thanks to these wonderful people, I’ve found my solution!! Landscape fabric! At first glance this stuff seemed intimidating. Cutting holes to plant each seeding and figuring out proper irrigation seemed too daunting to deal with. 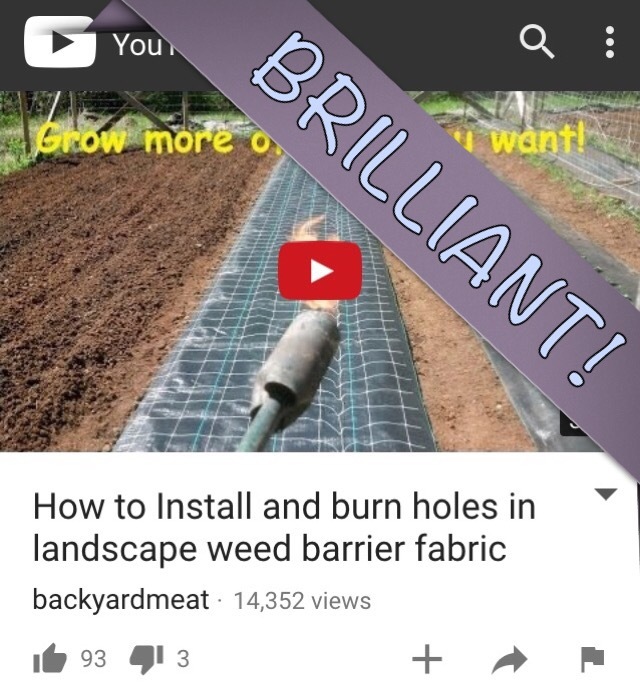 Their method takes this whole garden thing to the next level! I can’t wait to test it out! Watch their video here and get planning!! !